The "hidden portrait" of Emma Dobigny by the painter Edgar Degas, revealed by advanced X-ray flourescence and image processing techniques by researchers in Australia. 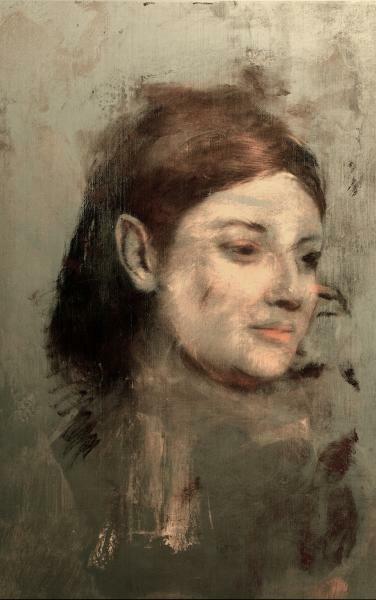 A hidden portrait of a mysterious woman has been found under a painting by the French artist Edgar Degas, according to a new study. Researchers used X-rays to peer through the layers of one of Degas' paintings, uncovering the "lost" work, which the artist later covered with another painting. "There has been a long-running question about what was underneath this picture," study lead author David Thurrowgood, a conservator at the Queen Victoria Museum and Art Gallery in Australia, told Live Science. "The question has been asked since the 1920s, and we are pretty excited to finally give the answer."